As a mom on a tight budget, I like to find ways to save energy around the home and there is no better time than the present to start teaching the kids how to try and save a little of that energy, too! I am always encouraging the kids to turn off lights when they are not in a room, or to use lamps with power saving bulbs and night lights if they feel they can't sleep with the light off. 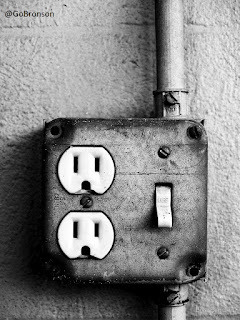 Unplug Gadgets and switch off when not in use! I remind my children that any gadgets must be unplugged from the wall when fully charged and chargers must be removed from the wall when they are not being used to charge said gadgets. Televisions must be turned off when we go out, when we're not watching them, when we go off to do other things like take a shower or cook dinner or expend energy elsewhere, leaving no one in the room to watch them! I do like to go through the apartment and check that items aren't left on, and encourage the kids to do the same! In the warmer days, I make sure fans aren't on when they aren't needed and that no air conditioner is on when it shouldn't need to be. Likewise, in the kitchen, I make sure lights are off and the kettle is unplugged, that appliances are packed away when not being used and that the fridge is set to optimum temperatures and so on! To save us having to recharge phones too often, I encourage us all to put our settings to optimum use to conserve their energy, too - where the screen is dimmer, the apps in the background aren't all on and push notices are off, too. We have showers instead of baths in our house and try not to spend too long in the bathroom and make sure hair dryers, rechargeable toothbrushes and everything else that might need an outlet is unplugged from said outlet when it is not in use, just like with the electronics from other rooms! I try to show my children how to keep doors closed, not to leave windows open or anything that might let in cold air, so we can keep the heat in and use less electric on radiators. While my children are starting to learn the importance of conserving energy, they are also learning to #livebrighter and smarter by making these seemingly small, sometimes mundane, changes and tasks of turning things off and unplugging others from the wall all-together! It is never to early to teach children to shop around for the best deal, and while they aren't responsible for the bills just yet, as a parent I like to make sure I apply this rule to my energy savings, too! Direct Energy, I just found out, has some great rates to compare in Pennsylvania, where you can save up to 16%* over MetEd’s electricity rate, and up to 12%* over Penn Power’s electricity rate. There’s more! Save up to 10%* over Penelec’s electricity rate! Ohio, Connecticut, and Massachusetts can save, too now that you can shop around for energy rates in these states! They even offer a rewards system with Plenti and so we can teach our children how to save even more with points back for rewards on the things we enjoy, at home, like Hulu, too! Savings to suit your needs and budgeting to suit your pocket, along with good energy house-keeping at home and you will soon start to see savings accumulate over the year and educate your kids for generations to come! - I'd love to hear your thoughts on other methods of energy saving, too across social media! - do let me know!